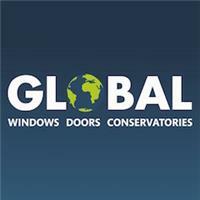 Global Windows - Fascia/Soffits/Guttering, Windows/Doors/Conservatories based in Sheffield, South Yorkshire. At our head office in Handsworth, Sheffield, South Yorkshire we provide you with quality windows, doors, orangeries, conservatories and more. All of our products feature high quality double glazing for security and warmth. We treat every home as individually as the owner and we would like to invite you to visit our head office to meet our friendly and welcoming team and to see our show site and factory in Handsworth, Sheffield. Here you can view our full range of quality products where everything is under one roof. Virtually every conservatory, window and door is manufactured in our superb factory in Handsworth, Sheffield, and we make it easy for you every step of the way. We offer a complete service from start to finish. Our friendly team offer expert advice and guidance, even for things such as planning permission if it is required. Installation is carried out by one of our qualified and experienced teams to ensure complete satisfaction on all of the work we carry out. Please visit our Facebook page here to see our recent and completed installations and reviews.